While me and mum were breaking this such an enormous block of Jageery, with hammer and chisel on one cold morning, there was a knock on the door, we had visitors, one of our family friend with their little girl from the UK came to meet us. We were so shocked , specially me, when this little girl said 'look mum, it's Gor' in Gujarati, took me minutes to believe what she spoke. Out of curiosity I asked them so many things about UK and was so amazed when I heard that almost all the Indian groceries and vegetables are available easily in London and big cities of UK. Coincidently, it was unknown to me that soon I shall be getting married and settling in the UK in not too distant future from the family friend visit. Still I was relaxed because one thing for sure I knew that whatever happens but I will have accesses to Indian groceries in London. It is fortunate that you can get everything. Recently I went to get some Indian vegetables and I spotted from far some Fresh Ponk ( tender Sorghum ), literally I almost ran to get there, my bad luck couple in front of just picked up the last lot. So I grabbed one of the assistants and asked him to bring some for me from their stock room. Darn, I was dispointed to hear that Ponk was out of stock and there was not any delivery of fresh veg and fruit until next day, and it wasn't guaranteed that even in next delivery, PONK will be there or not .While I was with sad face moving ahead I saw cart full of Fresh Chick peas, without second thought I picked up one bag to compensate myself, and from the frozen section also picked up Lilu Lasan ( Green Garlic ) and headed home. 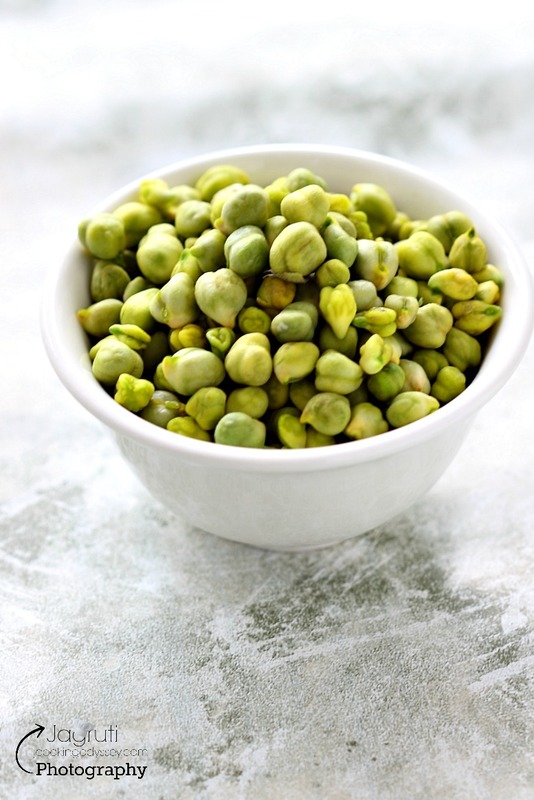 Ponk , Lila Chana and Green garlic is very popular seasonal treat in Gujarat, and it is not available throughout the year. Fresh and tender these gems are true delight. They are perfect winter bounties and I am extremely fond of them. So once these gems are in my kitchen, I do prepare some traditional delicacies and devour them with great pleasure. 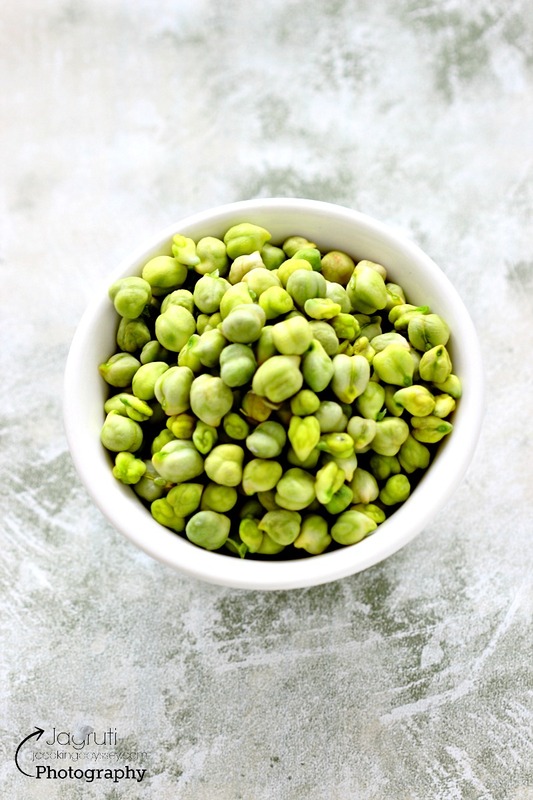 As soon as I got home, half amount of the Lila Chana ( we call POPTA in Gujarati ) I roasted on a griddle with the pod,and while watching TV one by one I was shelling them and munching on them, I would say one of the best and healthiest snack ever, and then there was an exciting part ! 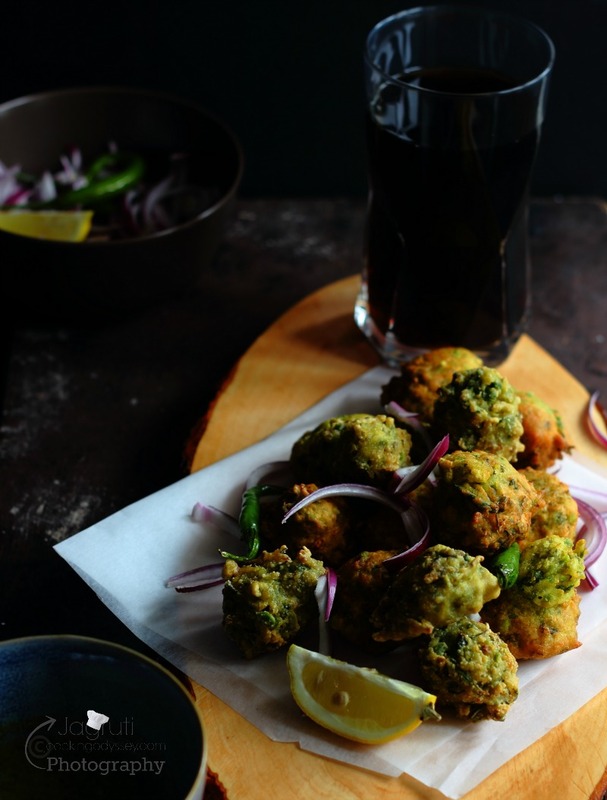 Next there was these unique and delicious Lila Chana ane Lilu Lasan Vada were wafting their incredible aroma in the kitchen and satisfying my cravings for something hot in this chilly weather. 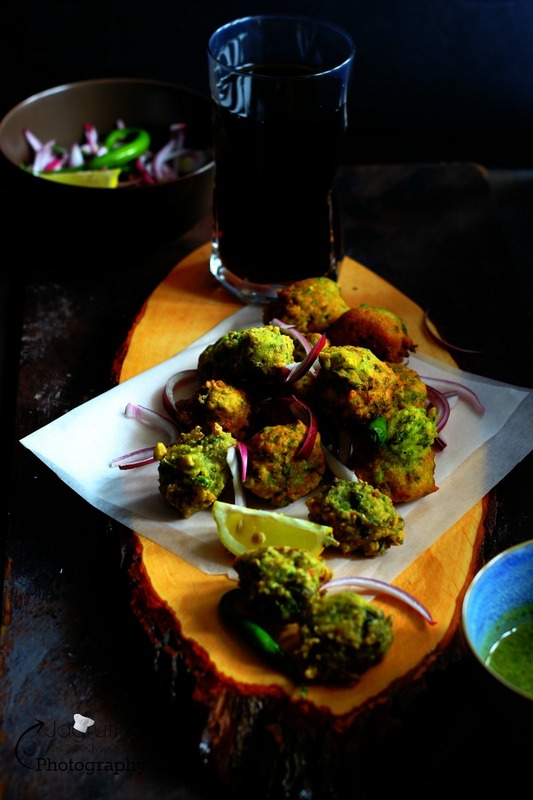 These vadas are extremely easy to prepare, spicy, crispy scrumptious and can be done in a matter of minutes. You can adjust spiciness according to your taste, but I would recommend that you eat quite spicy and use Green Garlic in this recipe, because that imparts the unique flavour. Not forgetting it's best to make most of it while it's available. 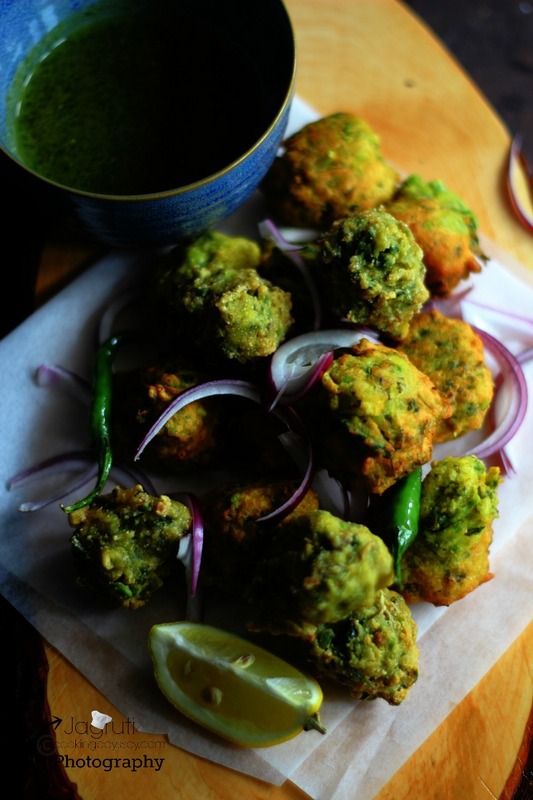 Best accompanied with Green Mint and Coriander chutney, fried green chillies and freshly sliced onion. Great combination ever you can enjoy in winter ! Place fresh chana in a grinder , grind to coarse mixture, do not make paste. Add everything in a big bowl except oil and mix everything. Take small amount of vada mixture and carefully drop in a hot oil. 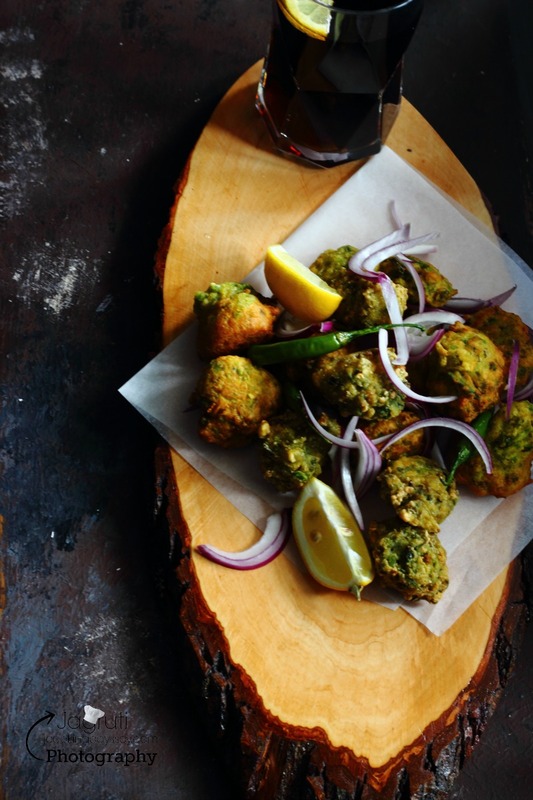 Do not fry vada too brown. Serve hot with chutney, fried green chillies, sliced onion and lemon wedges. 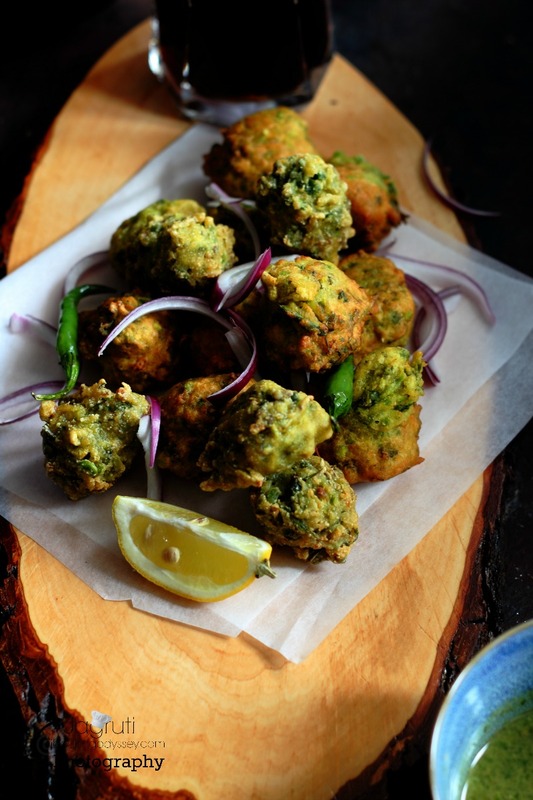 delicious looking bhajias. 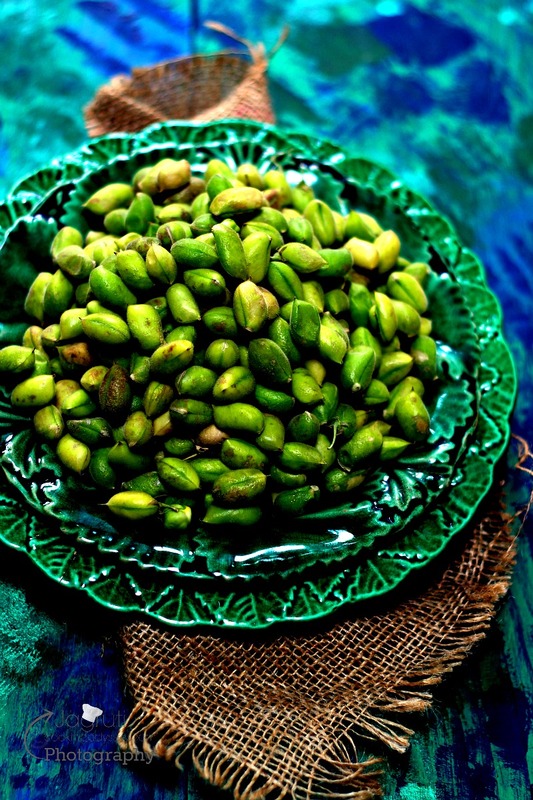 My mum use to make lila chana and lilulasan nu shaak whenever we would get green grams here. Don't see them often now. Had lots of ponk during my visit to India in Dec. 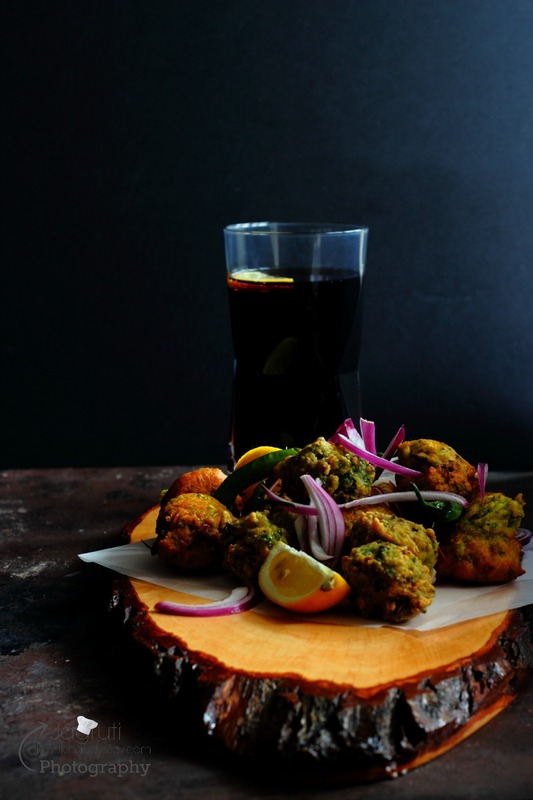 These look so wonderful!I love all of the flavors in these fritters! Chick peas are garlic are 2 of my favorite foods! 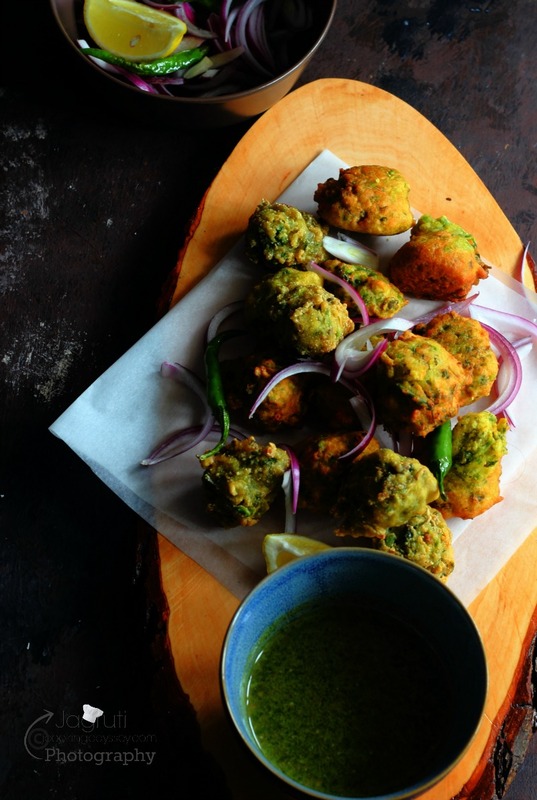 Love the look of these fritters - which happen to be one of my "go-to" appetizer options. Great combination!